In beauty land, 2018 must surely be the year of “minimal makeup.” A storm of #nomakeup selfies has ransacked our contour kits and left but a “cheek stain” in their place. Margot Robbie donned the no-makeup makeup look at the Oscars this year, Christina Aguilera went au natural on the cover of Paper magazine and Alicia Keys went full bare-faced at the Grammys. There’s no denying it, minimal make-up is fashionable. Sydney Fischer Wears Glossier Lip Gloss. Image credit: Instagram. Brands with a natural beauty ethos – Fluff, Milk Makeup and, leader of them all, Glossier – are filling the make-up bags and Instagram feeds of millennials across the globe, but is the natural beauty trend really as liberating and empowering for women as it would appear? Emily Weiss, founder of beauty blog Into The Gloss (ITG), transformed her loyal readership into consumers through the creation of Glossier: a brand catering to the online community she built. Named ‘a beauty brand for Generation Instagram’ by Forbes, Glossier blurs the line between media and business, engaging with its predominantly millennial fan base via social media, (its Instagram following has now reached 1.3million). Endorsed by well-known influencers, beauty bloggers, and celebrities alike, Glossier’s particular brand of femininity is far-reaching. It’s motto: “Skin first. Makeup second. Smile always,” nods to a growing cultural attitude towards beauty, in which less is more. The fact that the beauty industry is predominantly geared towards women undoubtedly makes beauty a feminist concern. 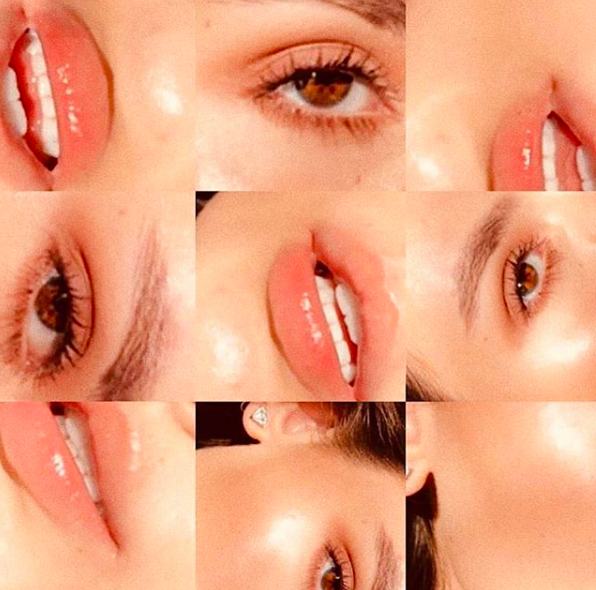 In her article ‘Glossier, Postfeminism and Spreadability,’ Phoebe Cai notes how Glossier utilises Professor Rosalind Gill’s theory of post-feminism within its marketing. According to Gill, postfeminism treats feminism essentially as ‘a lifestyle, an attitude, and identity’ and ‘assiduously avoids reference to feminist politics.’ Central characteristics include ‘notions of choice’, of ‘being oneself’, and ‘pleasing oneself,’ rather than being enslaved by the male gaze and societal beauty standards. The natural beauty ideal promoted by Glossier through its advertisements, which feature no men or the mentioning of men, fit neatly into these post-feminist concepts. Though the aim of celebrating and enhancing a woman’s natural beauty is to empower, it can also have an adverse effect and engender further insecurity. Yes, the Glossier models are racially diverse and this level of inclusivity is commendable, but the issue is that none of these women possess a hint of acne, a trace of a dark under eye circle, the slightest wrinkle or even a visible pore. The fact that these supposed imperfections don’t feature within the advertising campaigns implies they do not have a place within “natural” beauty. While once hidden freckles are now allowed to be seen, other facial features, such as (god forbid) a pimple, are not. The “natural beauty” presented in the campaigns is in this sense as much of a myth, and just as exclusionary, as any other beauty standard. In a society where make-up is a balancing act, the dilemma for the average woman thus becomes – I have acne, which is gross, but if I “plaster on” foundation I’ll be seen as “fake,” and be shamed for it. It must also be remembered that for some women no amount of product loading will equate to the clear, glowing skin sported by every Glossier model. Commodifying natural beauty by turning it into a trend ultimately just replaces one oppressive societal definition of beauty with another. The posting of make-up free selfies has become above all else a humblebrag – a performance of authenticity. The principle of effortless beauty is, in itself, misleading. Though Glossier’s branding is driven by the idea of being “low maintenance,” the skin care routines of its consumers are anything but. Primping, pruning and generally prettifying are a large part of the “natural beauty” world and all require time, money and effort. Policing women’s looks is sexist and unnecessary. We need to stop reducing looks to being either in or out of trend, natural or fake. It’s reductive and narrow-minded. Women should be free to choose whether to wear makeup, or not as the case may be, for the sole purpose of feeling good. What’s your take on natural makeup? Let us know in the comments.